Arsenal are reportedly among the clubs interested in a potential transfer swoop for Manchester United midfielder Juan Mata. The Spaniard is nearing the end of his contract at Old Trafford and it seems a number of top clubs are on alert, including the likes of Barcelona, Juventus and Paris Saint-Germain, according to the Daily Mirror. 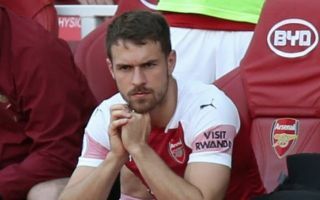 The Mirror also link Arsenal as potential suitors, which makes sense given the current situation with Aaron Ramsey, who is going to be out of contract at the end of the season. The Independent have even claimed Ramsey could leave for Juventus earlier if the Gunners can land a replacement this January. With Mata, however, a move may have to wait until the summer as United will surely resist selling a key first-team player to a major top four rival. Still, if Arsenal could get hold of the 30-year-old next season it could be a fine addition in a crucial area, with the player still one of the finest passers of a ball in the Premier League. In many ways, Mata could actually be the replacement for Santi Cazorla that Arsenal never got after their former star’s injury nightmares led to him leaving last summer. He could also still do a job for a top club like Barcelona, who will feel he could be an ideal replacement for creative star Andres Iniesta, who left the club last summer.